The online version of this article (doi: 10.1007/s00531-015-1156-4) contains supplementary material, which is available to authorized users. This study was supported by the Russian–German project KALMAR, funded by the German Ministry of Science and Education (BMBF), Russian Foundation for Basic Research (Grant #13-05-00346) and the Otto Schmidt Laboratory for Polar and Marine Research. The large part of the samples was collected thanks to the field grant from the National Geographic Society. 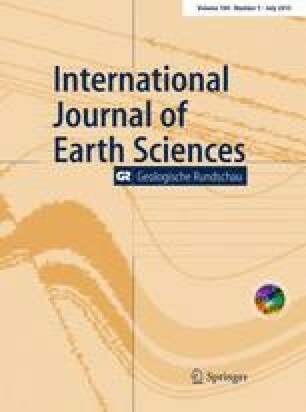 The authors thank Mario Thöner (GEOMAR) for the help with the microprobe analysis, and Natalia Gorbach and Sergei Khubunaya for tephra samples from AD 2001 and 2005 eruptions. Philip Kyle acknowledges support from the Division of Polar Programs, NSF (USA). Thorough reviews of two anonymous reviewers are very much appreciated.